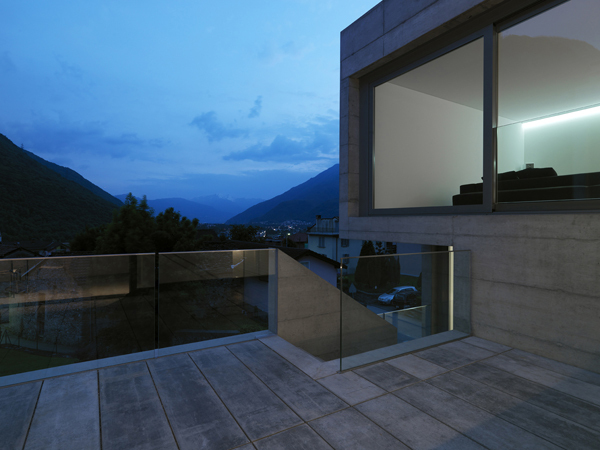 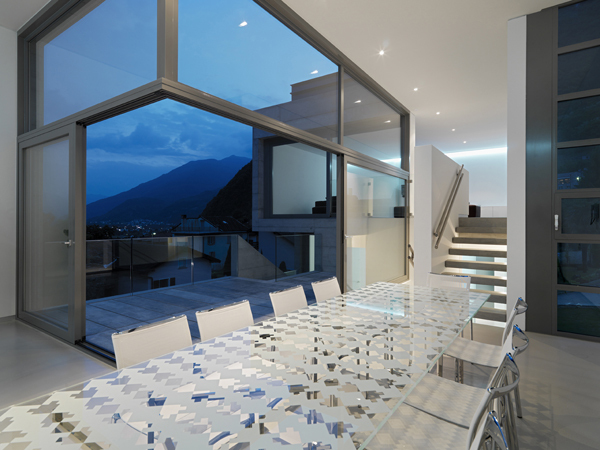 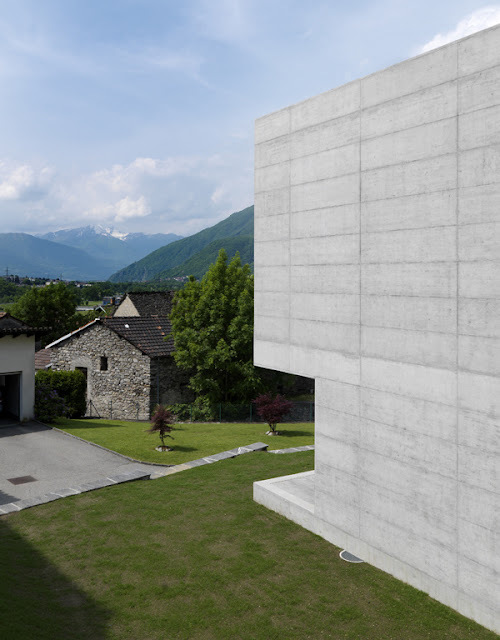 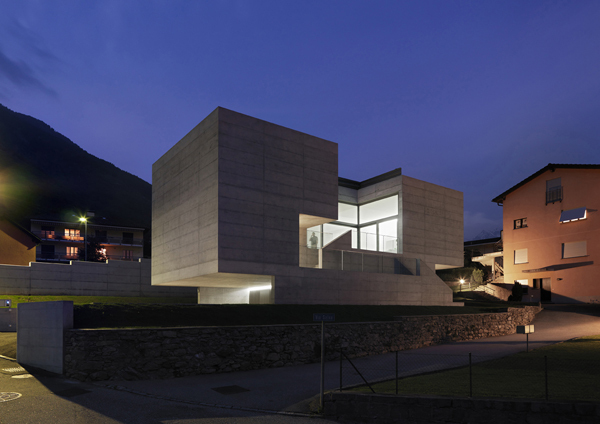 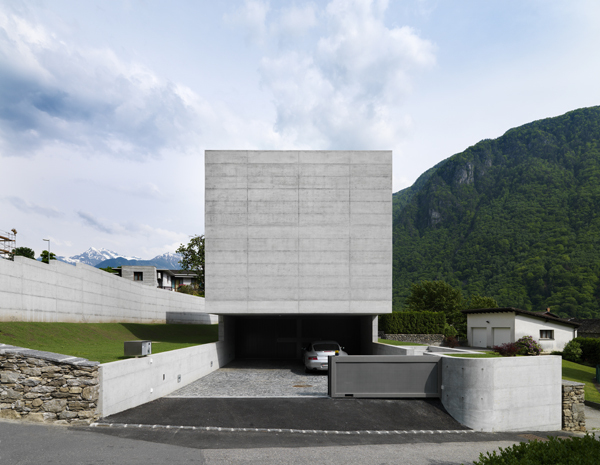 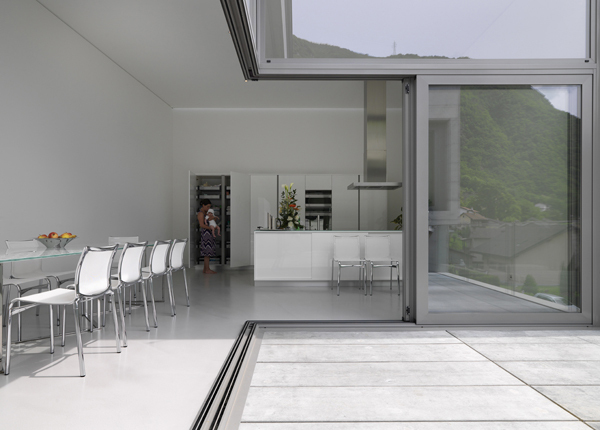 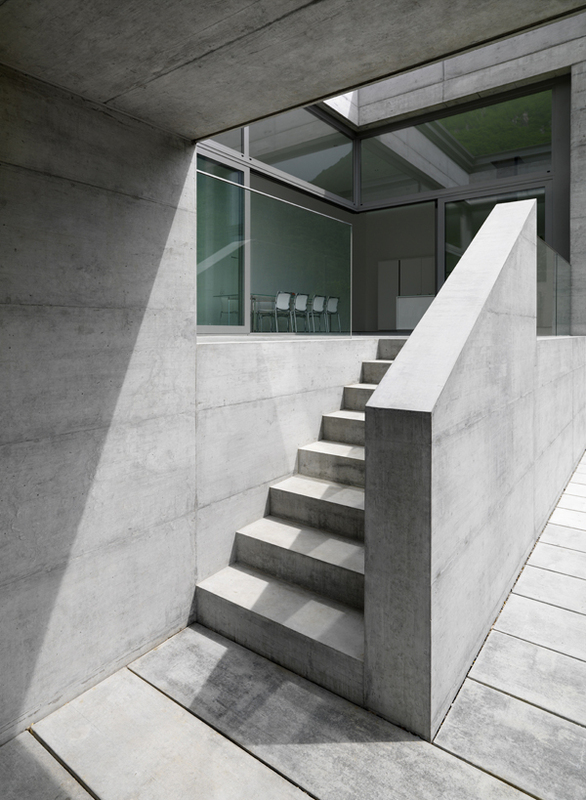 Located in the Alps (village of Lumino, Bellinzona, Switzerland) this concrete suburban residential house stands as a monolithic element, echoing and quietly complementing its context. 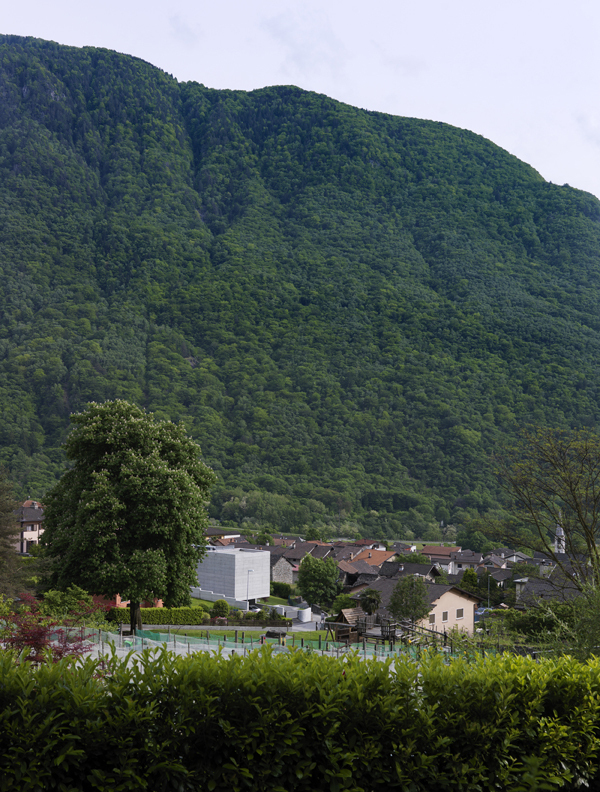 The village area is characterised by stone built traditional houses date back centuries. 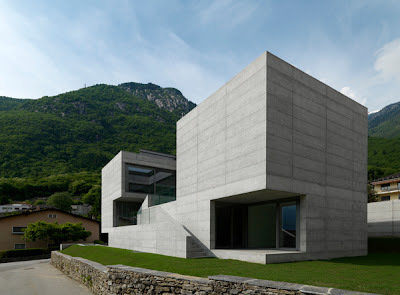 The new concrete suburban residential house is intended as contemporary interpretation of the vernacular and a relevant response to single construction material of old houses; its exposed concrete form resonates the presence of old stone houses and recalls the revered strength. 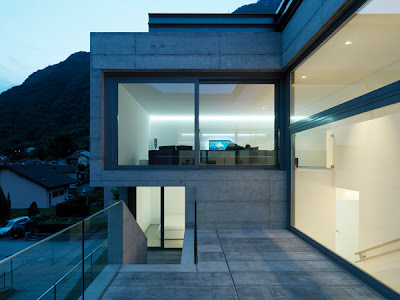 The house acts as a sort of bastion between the modern residential expansion and the old core.